In arriving to that latter point, Nosowitz spends a good chunk of the article exploring the word from a linguistic perspective. In the process, he reveals that “eh” can take on any number of meanings, depending, of course, on the context. “Eh” is invariant because it doesn’t change at all based on what you’re talking about; it remains “eh” whether you’re talking about one subject or many, now or in the past. But it’s also a lot more flexible than other tags—it isn’t just a question tag, but can be used for all kinds of things, and Canadians exploit this capability. 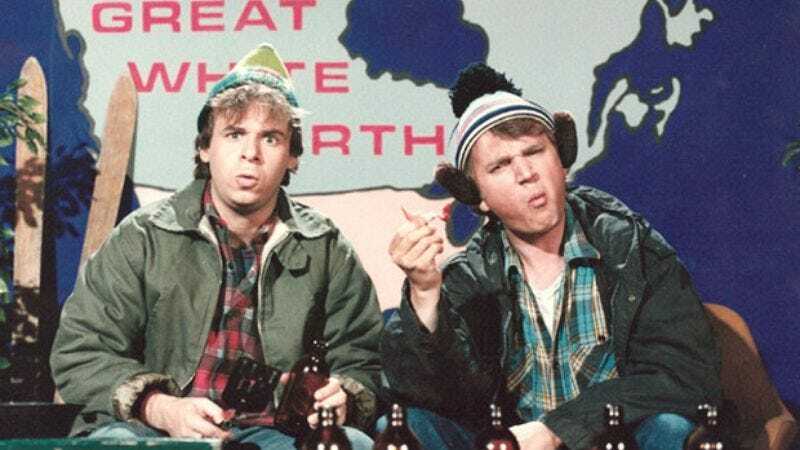 It can be a form of inclusiveness, a gentle command, an exclamation, or as a way to ensure someone is following along with your story—this last example is the “narrative ‘eh,’” which Nosowitz attributes to the humor of comedy’s most famous Canadians, SCTV’s Bob and Doug McKenzie. Nosowitz also explores the murky origins of the word, the ways it manifests in other cultures, and also how difficult it is to study such a malleable oral tic from a linguistic perspective. Interesting stuff, eh?